There is no doubt that Harvest time is the busiest time of the year for a Winemaker. From picking the grapes to processing the fruit it is constant hard work from sun up to sun down. A great way to keep their spirits high and minds focused throughout the day is through the beats and rhythms of music. 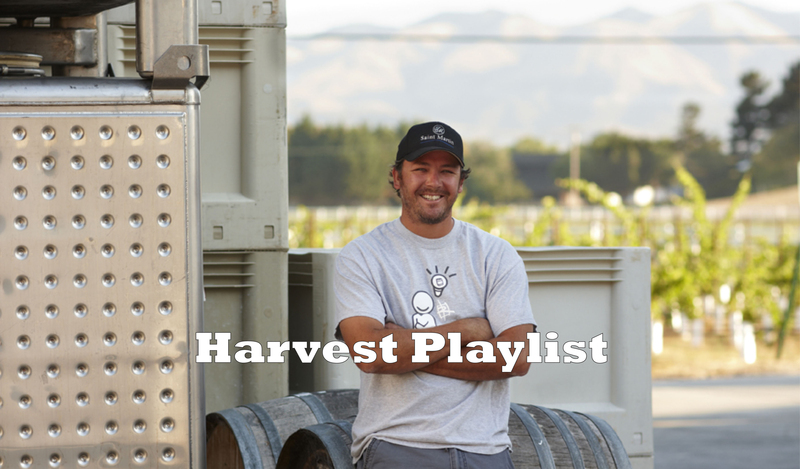 We asked Winemaker Coby Parker- Garcia along with assistant Winemaker Zack Geers what their favorite artists and genres are, and created a winemaker’s playlist. Two of Coby’s favorite genre’s includes Reggae and Rock Music, some of his favorites include: The Grateful Dead, Jerry Garcia, and Burning Spear. Zack appreciates the lyrical genius that Hip Hop contains such as G-Eazy, Milky Chance and Quinn XCII.